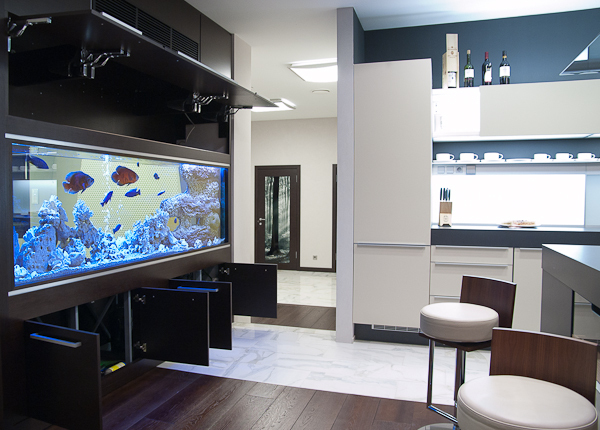 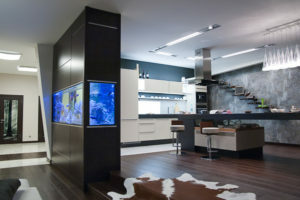 Marine aquarium tanks are no longer a rarity. 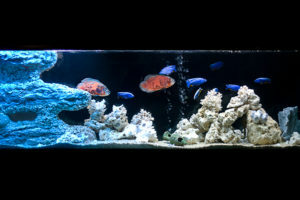 However, the saltwater inhabitants are more demanding than freshwater ones. 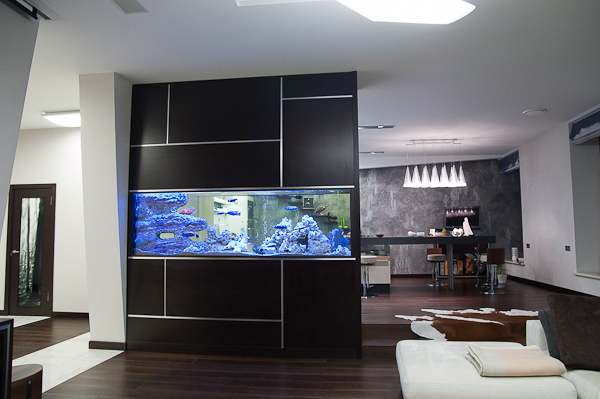 The main difficulty is to properly maintain the biological balance of a marine aquarium environment. Therefore, you will need much more experience in maintaining a marine tank. 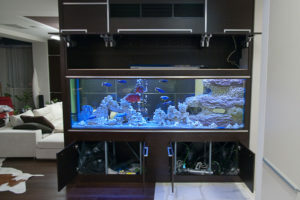 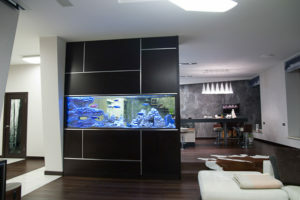 The installation and the equipment is almost the same as for a freshwater tank. However, the seawater environment is highly aggressive, so if you’ve decided to use artificial decorations (3D backgrounds, fake aquarium rocks, reefs and corals, etc), it is worth paying special attention to the quality of the materials they are made of. 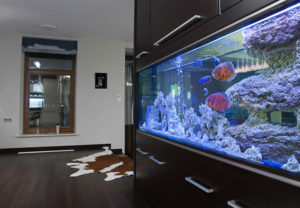 Some manufacturers of such decorations use the materials (most often plastics) and paints that are not seawater sustainable, besides, they are often toxic.